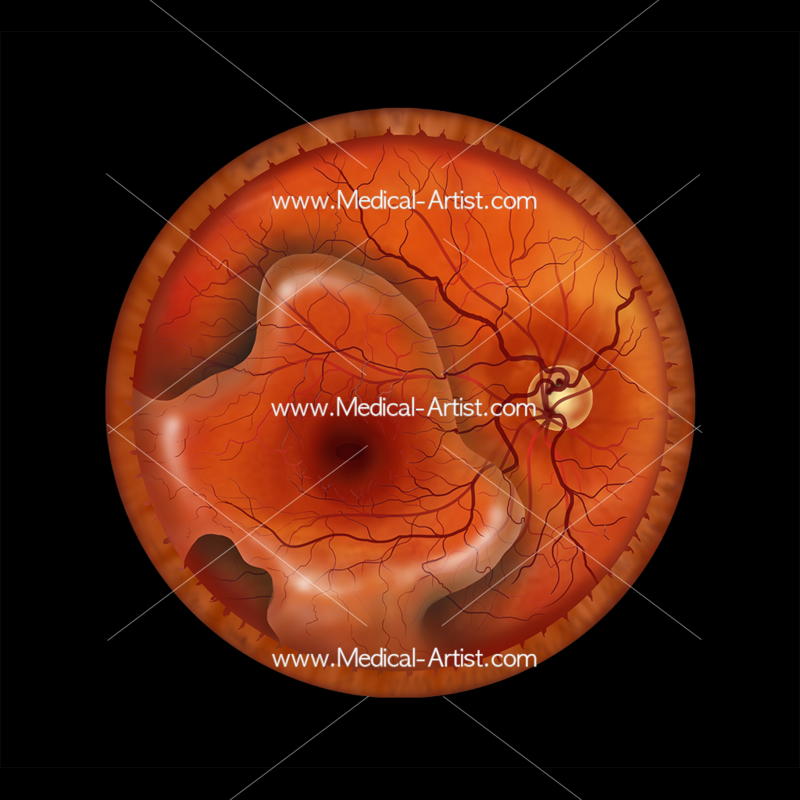 This ophthalmology gallery includes medical illustrations and artwork on medical conditions found with the macula, the optic nerve head and the retina posterior view. 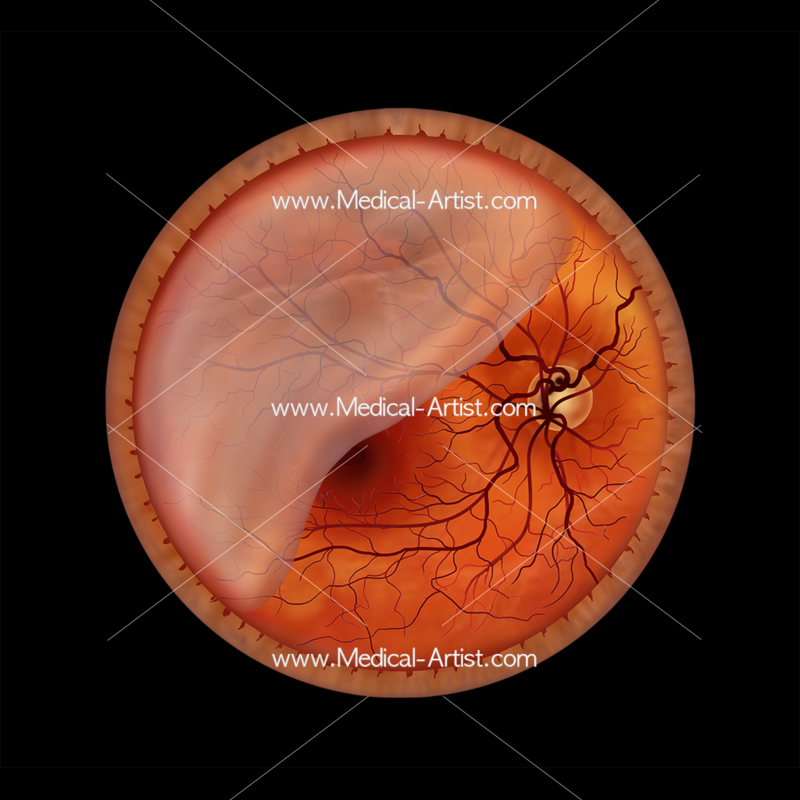 Containing medical illustrations of the various pathology conditions that can affect this area of anatomy and to showcase what work we have created for our clients. 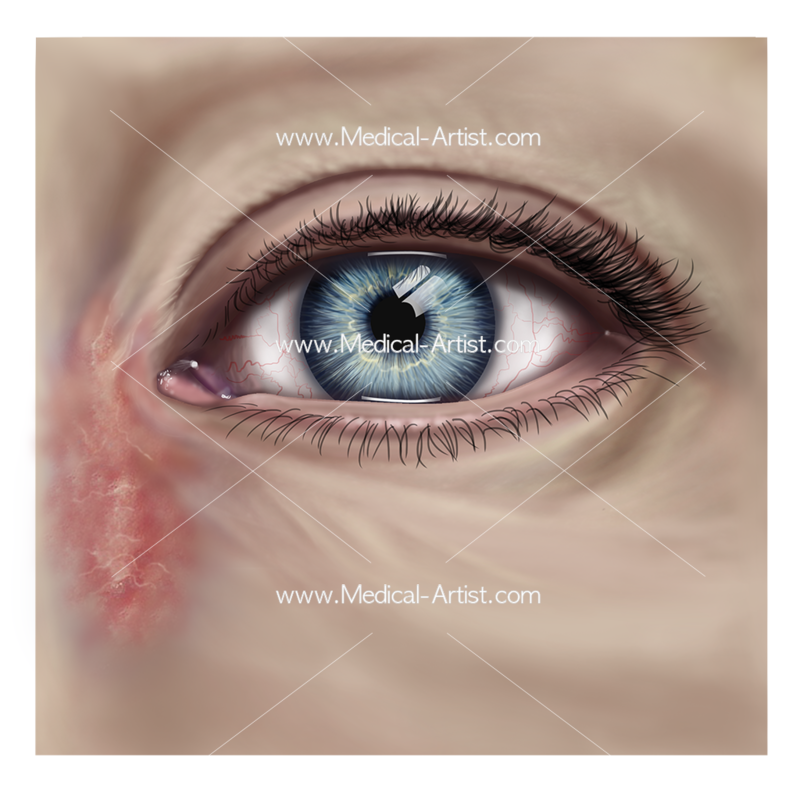 The team here specialise in providing custom-made eye pathology and ophthalmology illustrations to suit all projects. 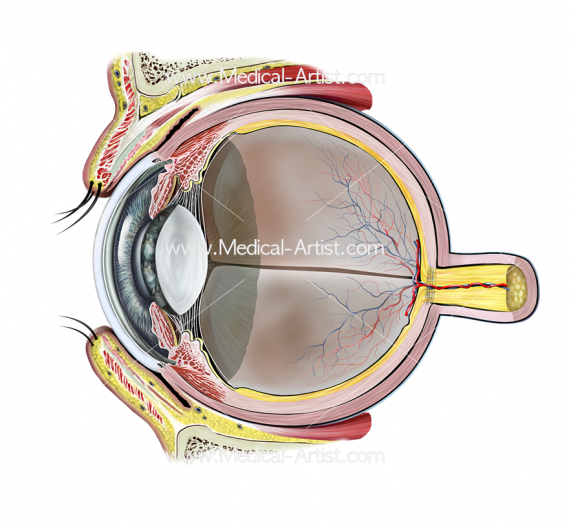 We are able to accept commissions from simple diagrams of the eye to the complex anatomy of the eye and associated structures. 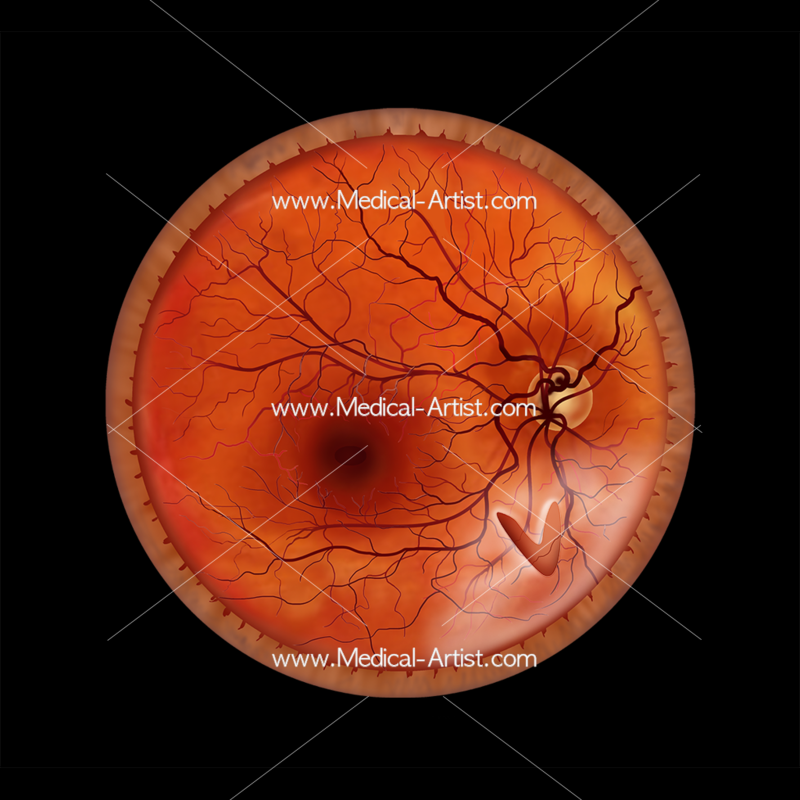 We are readily able to advise you on your ophthalmology project. 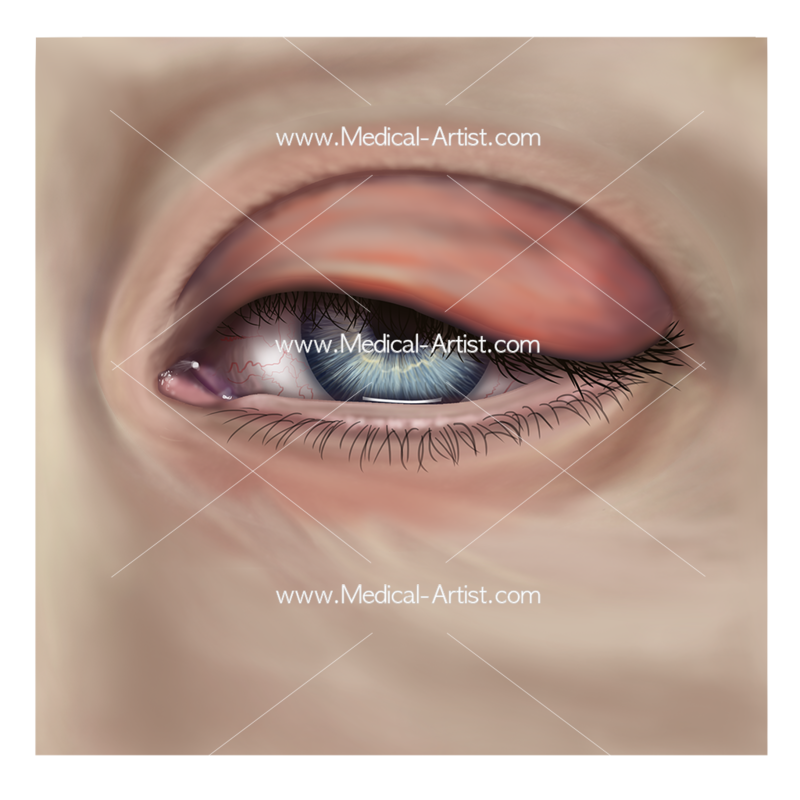 To turn medical or anatomical matter concerning the anatomy of the eye and associated structures into a helpful visual for any project please contact us. 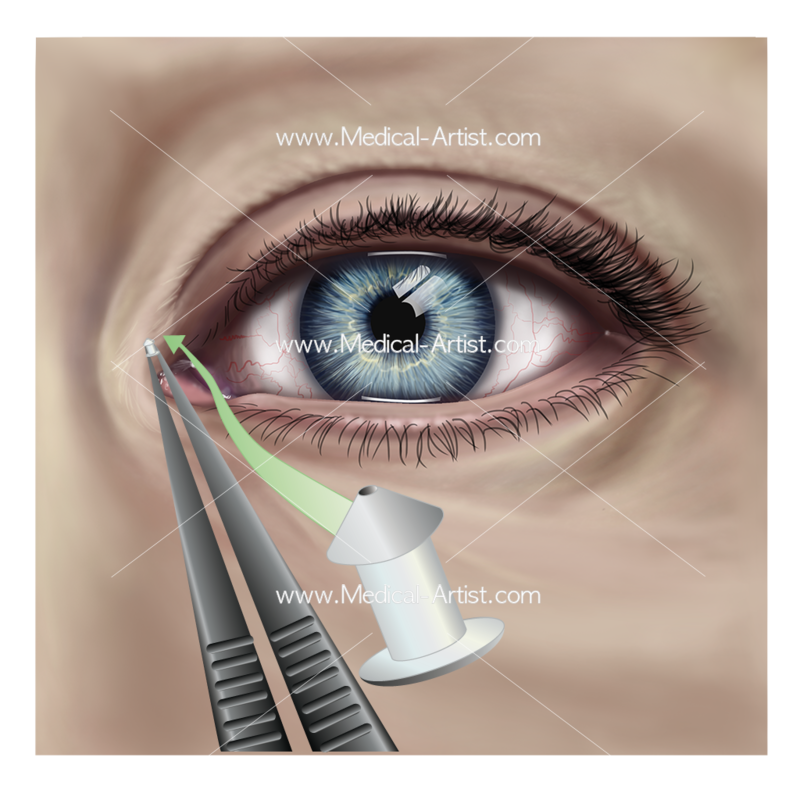 Ophthalmology is the practice of medical and surgical care of the eyes and any issues related to vision. 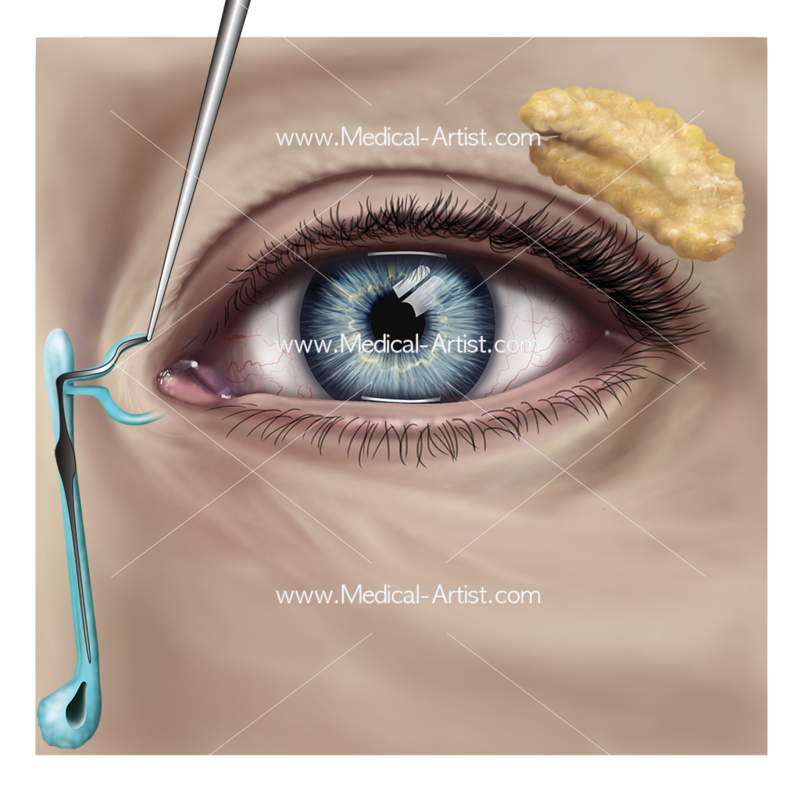 Ophthalmology, therefore, is a part of medicine dealing with the diagnosis, prevention and treatment of diseases and medical conditions involved with the eye. 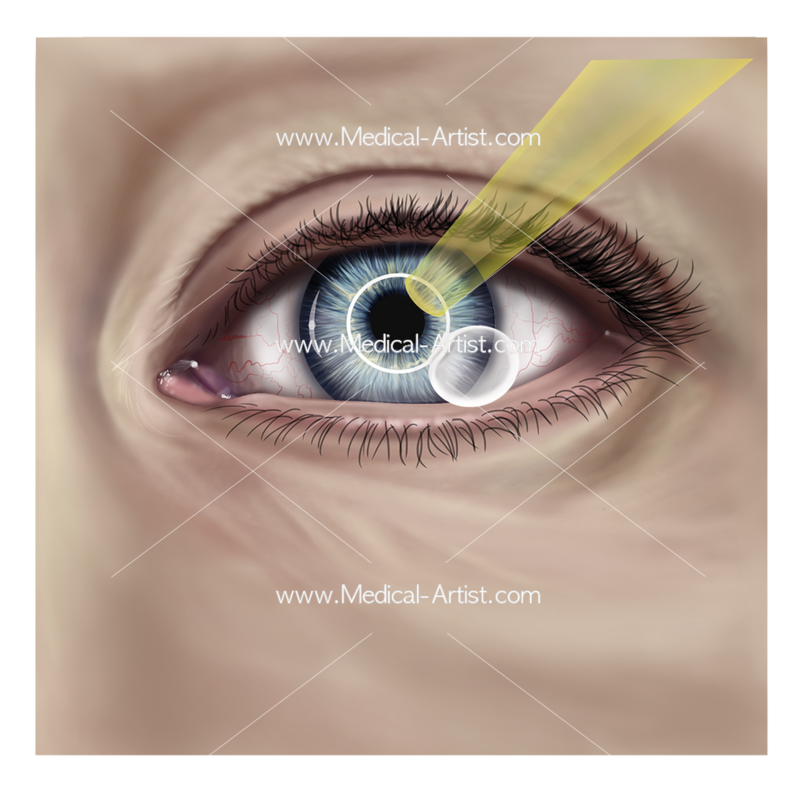 There are many things that can affect the visual system and create long-term conditions which pose a threat to the eyes. Things such as cataracts, diabetic retinopathy, glaucoma are just a few of the many diseases people around the world may face. An ophthalmologist is a medically trained doctor who specialises in eye and vision care. 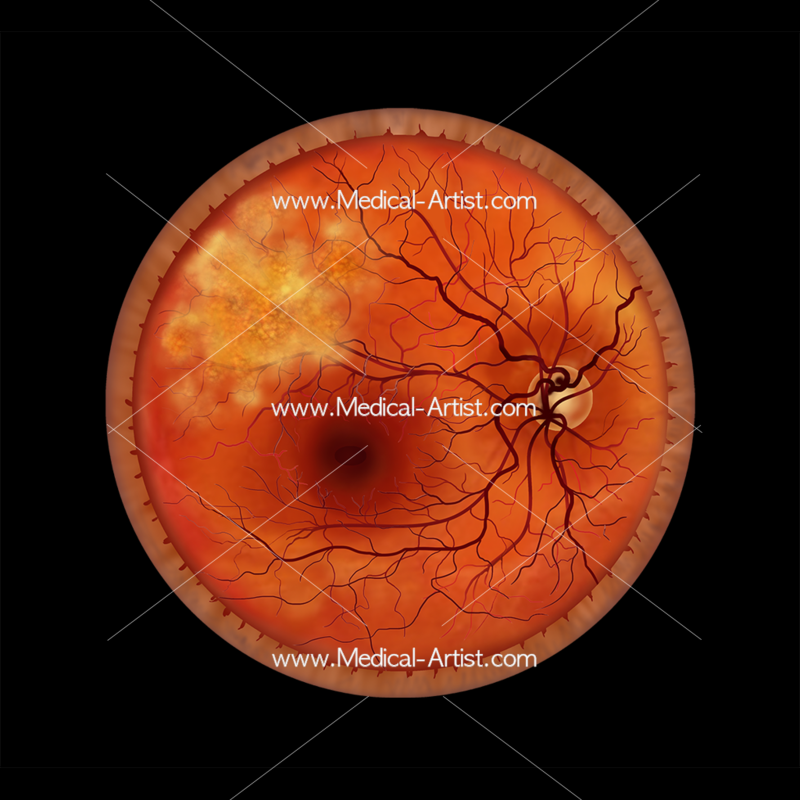 The macula or macula lutea is the small central portion of the retina. 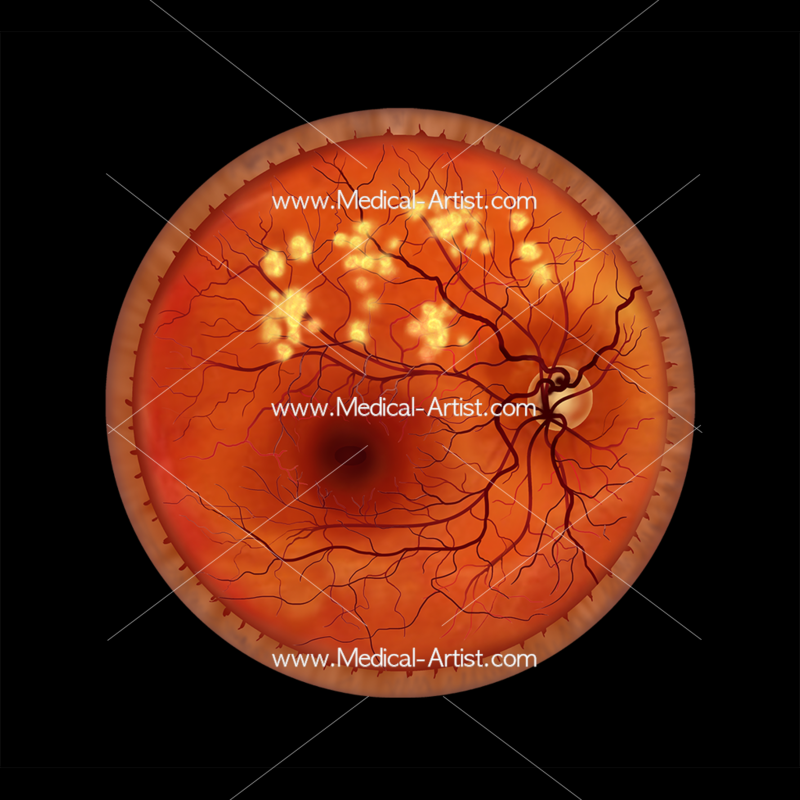 Its function is to provide the most detailed area of vision. 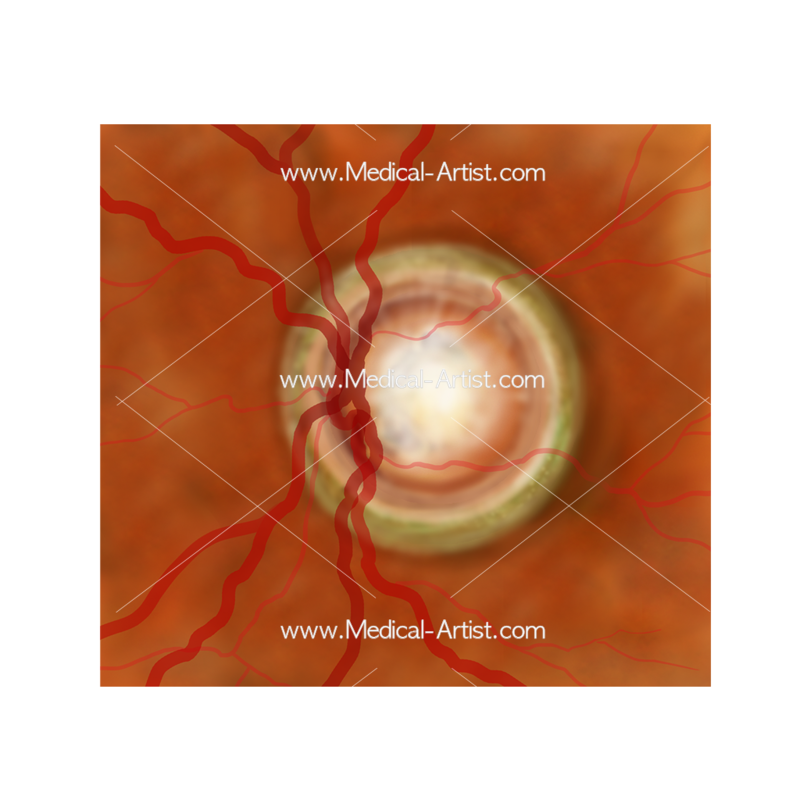 This is because the light from an object forms the image on the macula. 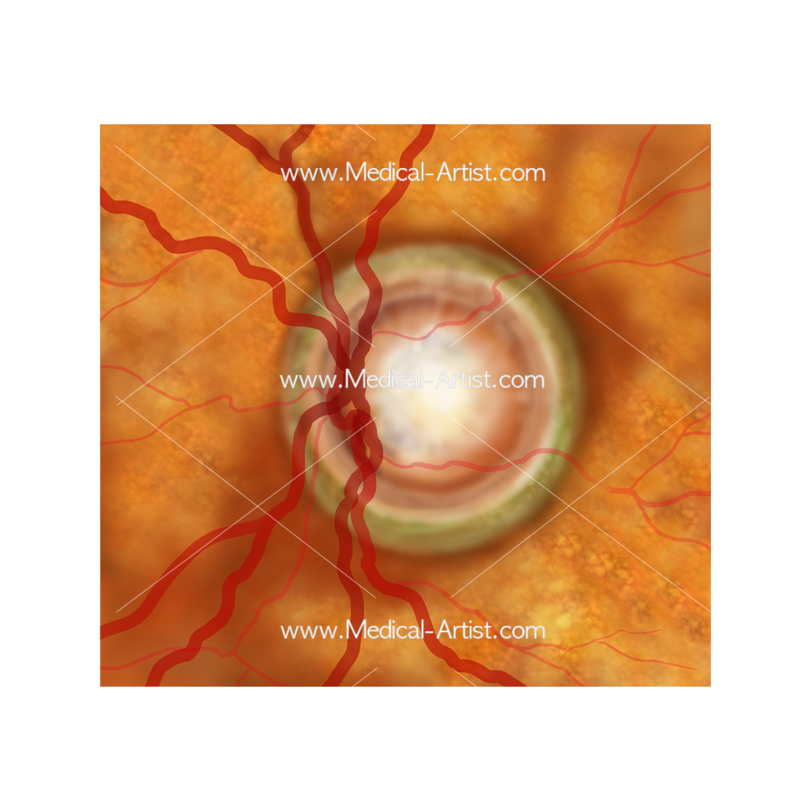 The macula has such high definition because it contains the largest concentration of cone cells. 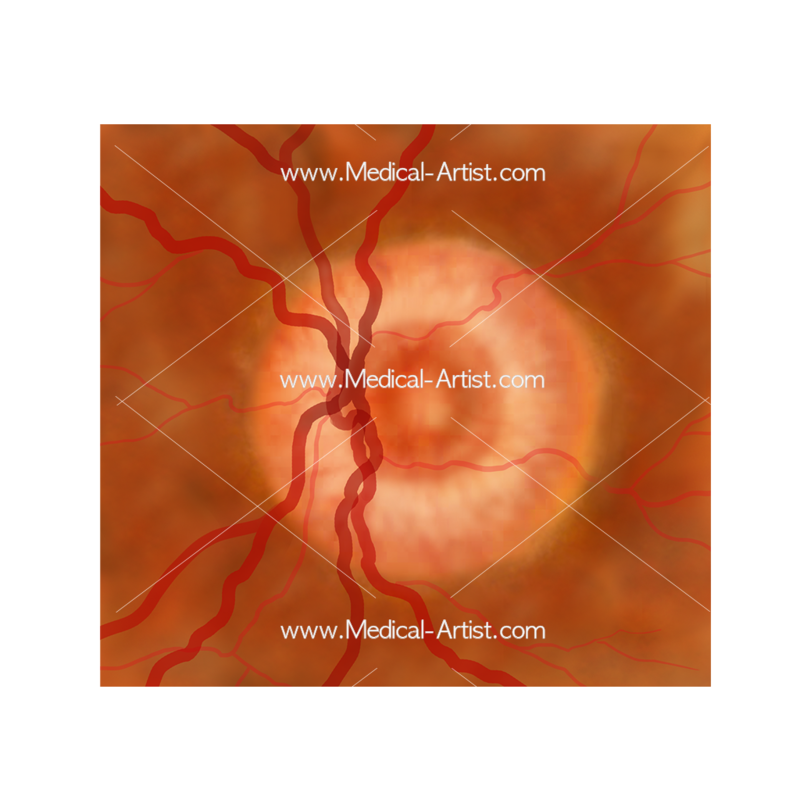 The cone cells are the photoreceptor cells in the retina of the eye that are responsible for colour vision. The optic disc or optic nerve head is visible as a cylindrical structure located between the retina and the optic chiasm and typically it is slightly oval in shape with the vertical diameter being about 9% greater than the horizontal. 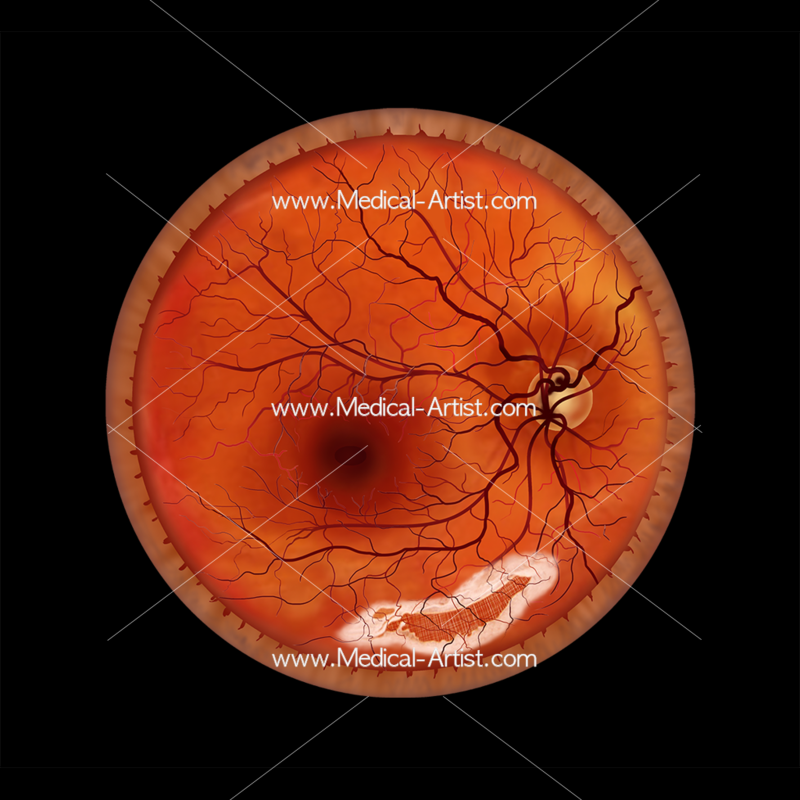 It’s the location where the ganglion cell axons exit the eye to form the optic nerve. 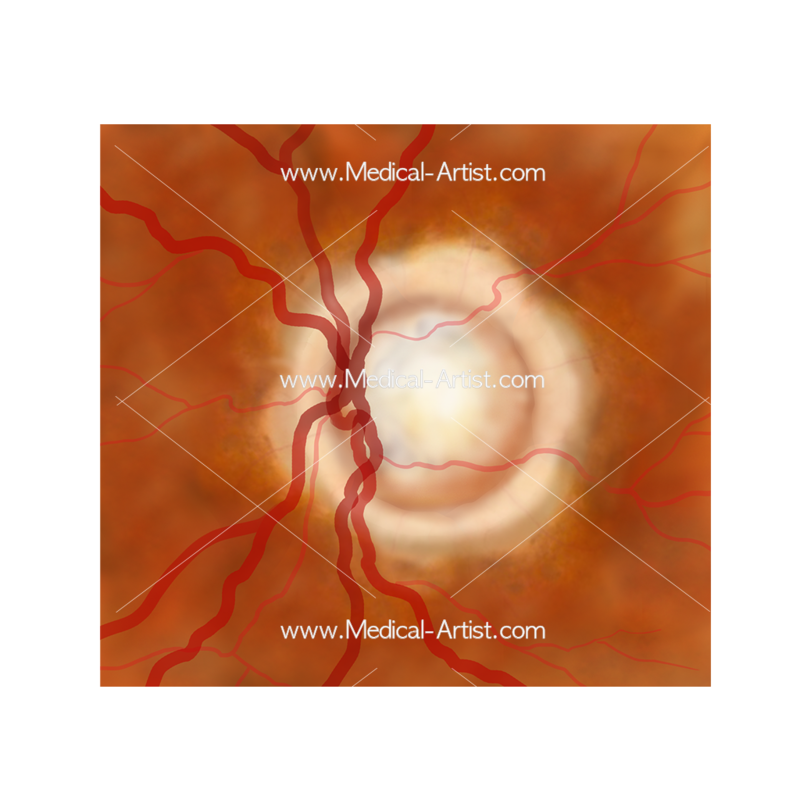 The retina is the light-sensitive layer at the back of the eye and converts the light that hits the back of the eye into signals that are then carried to the brain by the optic nerve.